With more employers demanding pre-employment drug tests and developing random drug-testing policies, the length of time drugs stay in the system has drawn more attention from employers, employees and Internet searchers alike. As the abuse of prescription drugs reaches epidemic levels in the U.S., prompting a corresponding hike in drugged-driving incidents, the window of time that drugs can be detected in chemical testing can be critical information for both law enforcement and defendants in any resulting court proceedings. The problem is that an exact timetable for how long drugs remain detectable in urine, blood, and saliva tests is almost impossible to determine, due to the many factors that can affect how an individual's body processes or metabolizes drugs. Drug detection times can be affected by each person's metabolic rate, which can vary widely. Metabolic rates, in turn, can be affected by the person's age and certain health conditions. The higher the metabolic rate, the shorter the time a drug can be detected in the body. Hydration levels, body mass, physical activity, and drug tolerance can also affect how long drugs will be detectable. Drug detection times can be much longer for people with increased fatty tissues, because of some drugs, or their metabolites, tend to accumulate in those tissues. On the other hand, if someone has built up a tolerance to a drug, the length of time it can be detected in the system can become very short, because it tends to metabolize more quickly. Another key factor in drug detection time is the amount and frequency of the drug's use. One-Time use of a drug might be detectable for only a short period of time, whereas heavy or long-time use of drugs can be detected for extended periods. Very frequent drug use can cause concentrations in the system that can be detected for lengthy periods after last use. 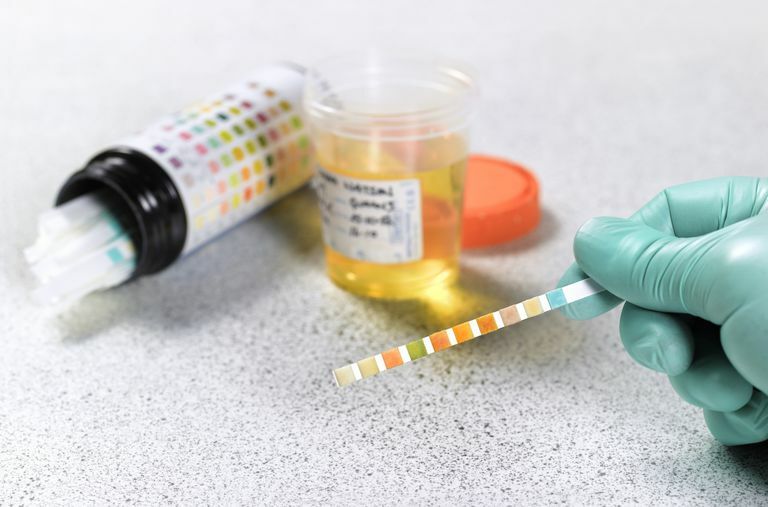 Even the acid-base balance in urine can affect detection times in urine tests. The more acidic the urine, the shorter the detection time. A more recent test for drugs is the hair follicle drug test, which is less likely to be affected by the above factors — and also less likely to be tampered with — and can detect drug use for up to 90 days. The disadvantage of using hair tests is that drugs will not show up in the hair for seven to 10 days. Also, the hair tests are currently more expensive than the standard urine, blood and saliva tests in both collection and processing costs. Because there are so many different factors affecting the time that drugs can be "visible" in chemical tests, researchers have not been able to nail down an exact timetable for the detection of individual drugs using standard testing. The best they have been able to do is develop a range of time, or detection window, during which drugs might be detected. The timetables below were developed from sources with a vested interest in their accuracy. They include the American Association for Clinical Chemistry, the professionals that do the actual testing; companies who sell drug testing kits to employers and law enforcement; and even companies who sell products aimed at helping people beat drug tests. American Association for Clinical Chemistry "Drugs of Abuse Testing." Lab Tests Online. American Association for Clinical Chemistry. "The World of Forensic Laboratory Testing." Lab Tests Online. LabCorp, Inc. Drugs of Abuse Reference Guide. OHS Health & Safety Services. "How Long Do Drugs Stay in Your System, Including Alcohol?." The Merck Manual for Health Care Professionals. Drug Testing. Special Subjects: Drug Use and Dependence. February 2012.